REVISED: End of Year Dance Parties, last classes & New Year dates for calendar..
Ok Swing Cats and Kittens we have got some dates for your wall calendar, your google calendar and you manual diary… Lets swing 2018 out in Swing On In style and then ramp it up for 2019! Being asked to put together a dance performance troupe and perform for and at the Commonwealth Games 2018 at the Team Welcome Ceremonies at the Athletes Village! Ray and I had a dream and it came true and we could not be prouder of our team who shared that experience with us.. Unprecedented growth in our dance community due to the hard work & some well spent $$ in marketing, performing and you guys sharing the love amongst other to grow through word of mouth. Swing in the Flowers – a Definite highlight of everyone that attended I am quite sure of that! The turn out of Swing On In for Cooly Rocks On and being the main feature and poster dance school for the festival and TV news. Every single week with GC and Bangalow students – A weekly highlight… its groundhog day of Joy! Finally to be hosting and running the very first “A Little Party Never Killed Nobody Party as part of the Wonderland Festival at the Brisbane Powerhouse… This is going to be epic..
We Need dancers at each of the events with *** next to it for promo/social dance/activating spaces if you could please try and come to some of these. Friday 7th December: LAST Friday Night Nerang Social Dance Party Ever! Lets say goodbye to this little gem of a hall with a full house of dancers! Wednesday 12th December: Last Class for SOI Bangalow for 2018 – Beginner Class at 7pm and a Rueda & Shim Sham then Social dancing for the rest of the night! 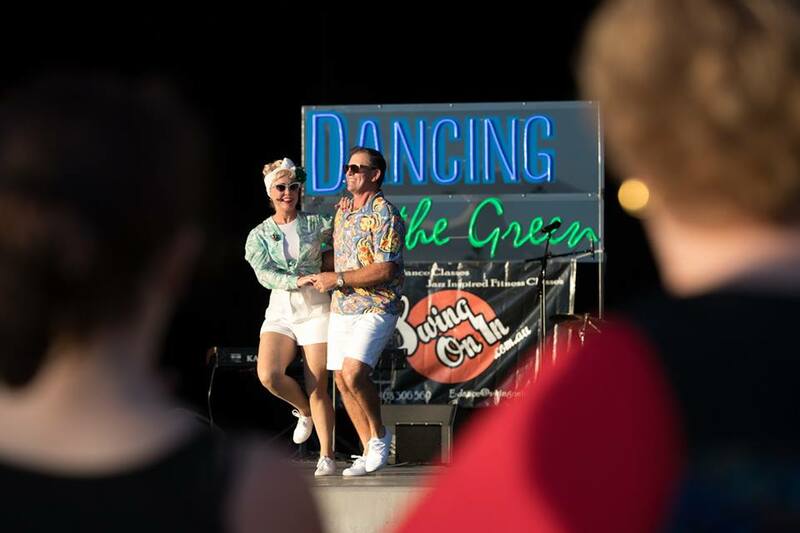 Thursday 13th December: Last Class for SOI Gold Coast for 2018 – Beginner Class at 7pm and a Rueda & Shim Sham then Social dancing for the rest of the night! Friday 14th December: Last Banaglow Dance Party for 2018 with Sebastiaan crooning our tunes and SwingABilly Ray and DJ Mark filling the gaps with some awesome Lindy Hop tracks to keep you dancing. NEW YEARS EVE plans ? Don’t know yet, need to look at whats around and pick the best fun nd share it around. If you have any ideas lets us know! We will be cancelling our 1st Friday of the Month Dance Party and Nerang and Introducing the NEW “Swing Sesh Sundaze with Swing On In” on the 1sdt Sunday of the month starting in February – these will be roving gatherings and will always have spaces to dance with music… Locations will be announced at the creation of each event. Yep, we like to keep it interesting! Til next time, Stay cool and see you on the dance floor. WWII Blitz Party is Upon Us.. What to wear?? Is it Time to Join Your Local Swing Dance Class? So much fun and filled with amazing friendly people! Just dropped in to Tuesday night Swing On In class and absolutely loved it! Fantastic teachers, fantastic dancers! See you next week. We always have a great time at Swing On In dance classes. There's always lots of great dance moves to learn and heaps of friendly people to dance with. I have always wanted to Swing Dance & Ray was such an awesome teacher. Everyone at the classes are so friendly & welcoming! Swing On In is awesome! Chrissy and Ray are excellent teachers and superb dancers, no matter what dance level you are at they are very welcoming. Highly recommended! Wonderful, talented teachers and both with a beautiful personality to match! Awesome peeps and great Lindy hop dancing for all ages!!! With out a doubt the best dance group in Australia!! Love going to class each week with Chrissy and Ray. Such fun, great exercise and you get to meet some wonderful people. Great teachers and great fun. Highly recommended! Excellent classes, it's amazing what you can learn in one or two lessons, even with two left feet! Very welcoming and warm and as fun as you make it. Expert helpful instruction, loads of fun, beautiful people, great exercise - what's not to love! And thanks for the inspiring clips from the original swing era. Tony Wadeson, Liaison Officer for the Kirra SLSC. – 100 Year Beach Celebrations 2016.